Casa de Tapas cares about everyone’s opinion, especially yours. 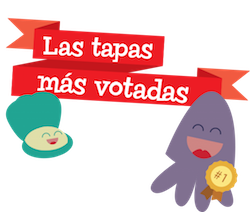 So every month we make a ranking list for the (most voted ) tapas by our customers. Every month you can check the list of the 10 best tapas. If you want to play it safe do not forget to ask for the list.